The mighty trucking companies in the US defied the second largest economic slump since the end of the 2008 recession, by increasing revenue and the combined top line of the Top US Trucking Companies. These companies increased sales considerably in 2016, although they were partly affected by the lower fuel surcharges, lower rates and the lower demand in the retail and industrial freight market which was being affected by depression. But is that the year 2019 will be the year that largest trucking companies return to the kind of growth they enjoyed five years ago, or at least something close to that. There many giant companies in the freight industry, giant enough to make the Fortune 500 companies. They make billions of annual revenue and employs thousands of workers worldwide. Below are some of the largest trucking companies in the world. AAA Cooper has headquarters in the Dothan, Alabama, US. The company is exclusively owned by the family, operating through Less-Than-Truckload (LTL). It provides a variety of services including port, International Courier, among other transportation services. AAA Cooper Transportation is a non-union company founded in 1955 by J.H. Dove after buying up an interest in the P.C. White Truck Lines. Acme Truck Line, Inc. is one of the top businesses in New Orleans. This national transportation service company is headquartered in Gretna, Louisiana and was founded in 1960 initially operating in New Orleans but now it serves nationwide. The company boasts more than 2,900 fleets of trucks with its transport network spreading to seven states, operating 24 hours a day throughout the year. One thing that has made this company more efficient in customer service is how it has diversified its equipment and locations. Acme Truck Line delivers over 9,000 loads of oilfield and other commodities each week in time as scheduled. One of the company’s goal is to be leading in providing personalized services and respond quickly to customers’ demands. American Freightways (AF) is was one of the largest trucking companies in the United States. That was before it was acquired by FedEx Corporation. The company was originally called Arkansas Freightways and was based in Harrison, Arkansas. Averitt Express was founded in 1958 as Livingston Merchant’s Co-op by Thurman Averitt. The company is headquartered in Cookeville, Tennessee. Averitt is privately owned by Gary Sasser after he purchased it from the original founder. It runs majorly in 18 states in the Southeast United States. The states include Alabama, Mississippi, Virginia, Kentucky, North and South Carolina, Georgia, Florida, Arkansas, Texas, Oklahoma, Louisiana, and Tennessee. The company also have single terminals in other five states that include California, Missouri, Ohio, Wisconsin, and Illinois. Averitt Express provides a range of services like climate controlled, cross-border (Mexico, Puerto Rico, Virgin Islands, Canada), dedicated, expedited or time critical, international (ocean, and or air, Asia-Memphis Express), less than truckload (LTL) shipping, retail services, truckload, air charter, portside, transportation management, value-added services, warehousing , integrated services and chain supply. FedEx Corporation is the giant of all the giants, and rightly so. The company has done many major acquisitions down the years. It is a multinational courier company headquartered in Memphis, Tennessee. The FedEx came from the company air division Federal Express (now FedEx Express). The company is popular for its overnight shipping and the tracking technology that customers can use to track shipping location. A feature that other largest trucking companies have now implemented. FedEx reported an earning of US$4.572 billion in the first fiscal year of 2018, with $65.450 billion in annual revenue which marked an increase of 8.5% over the previous financial cycle. The company’s shares traded at $244 per share, while its market capitalization was over US$55.5 as of October 2018. FedEx mad it to the 2018 Fortune 500 list of the US largest corporations by total revenue, and was ranked No. 50. Best Trucking Companies to Work for. If you are thinking of getting into the trucking industry, there are many top best companies you can start with. Many opportunities in these companies are for seasoned drivers. The first thing to know if you are looking to start a career in the trucking industry is that some companies will offer better financial packages than others. It is just like any other industry. Truckers make in the region of $66,711 annually on average. But this amount, depending on the company or location may vary. Trucking companies that offer high packages tend to be from areas with high living costs. Areas like New York or Mississippi. Aside from these two areas, West Virginia is also known for high truckers to pay. Cost of living is not the only factor that causes truckers to be paid highly in these regions. Another reason is that they are required to maneuver tough terrains. For example, Acme has over 2,900 trucks that operate in seven states. Each week, the company transport more than 9,000 truckloads of shipping. This is a clear indication that you can have a steady job with this company. The difference with other top trucking companies, Acme doesn’t own the fleet of trucks they use to transport freights. They lease this equipment. Nevertheless, the company has a reputation for always paying on time. Actually, their payday is every two weeks. Additionally, they also offer debit cards and direct deposit for easy pay. They provide for bobtail damage insurance, cash advances, and fuel cards as well. If you are a driver working for Acme, you are allowed to participate in in the 401(k) plan and Employee Stock Ownership Plan. There are opportunities for every trucker, whether if you are a rookie or experienced driver, though you will need to be at least 21 years to get hired to the company. Job qualifications are simple too, and straightforward. You won’t have to jump through various hoops to get employed. Although Acme doesn’t offer training like some other trucking companies, they do offer opportunities for rooky drivers. Moreover, they have one of the best employee benefits and competitive pay. The company also have plenty of freight, so you can be sure of a stable and reliable career at Acme. Another best place to work for a seasoned trucked driver is Walmart. This is a bit weird because technically, Walmart is not a trucking company. Yes, but they have their own private fleet of trucks and they pay their drivers extremely well. Remember how we said an average trucker earns $66, 711 per year? At Walmart, an average full-time driver earns $79, 994 per year, working 5.5 days a week. Other packages include activity, mileage, and training. On top of that, there is a quarterly safe driving bonus. Working for Walmart is absolutely awesome, apart from the bonuses, you will also be going home once a week and get reset hours off the road. We have not even reached the best part of working at Walmart. The best part is you don’t load or unload the freight! In addition, you will start getting your benefits from the very first day of work. Other benefits include medical, dental, life insurance, pharmacy, and vision. You will also get a chance to participate in a 401(k) plan and stock purchase plan. Being Walmart, their private fleet is the best flatbed trucking companies you can imagine working for. But just like in any job, you will require to have some certain level of experience to be considered for hiring. You must have at least 30 months of full-time experience working with a Class A tractor or trailer in the last three years. Possess an interstate Class A CDL with Hazmat endorsement, or obtain Hazmat endorsement within sixty days of receiving an offer, you must not have committed any serious traffic or moving violations while driving a commercial vehicle within the past three years, you shouldn’t have convictions for an OUI, DUI or DWI, or careless driving that involves drug or alcohol within the last 10 years. Walmart may have stricter rules of the other trucking companies. But if you have experience and follow the traffic rules, you should have no problems getting in. Walmart could be the place to work for you if you are a driver because of their lowest turnover rates in the entire country. The main reason drivers leave Walmart is because they are retiring. GP Transco is another of the best trucking companies to work for. The company represents what it means to care and respect your drivers. They have one of the best financial packages and benefits in the trucking industry, the reason they also have one of the lowest employee turnovers in the country. GP Transco has an average salary of $75k per year. You can have a long lasting career at GP Transportation. The head of the recruiter at the company used to work for OTR as a driver for over 30 years before becoming a recruiter. Therefore he understands how the trucking industry works. He knows how much trucker’s sacrifices for their careers. If you are a trucker working with GP Transco you will be rewarded with pay that you deserve when you drive across the country. CRST International is another reputable trucking company that is best to work for. Whether you are seasoned or rookie driver you should also look at this trucking company. The best thing about this company is that it has its own trucking school where you can earn a CDL license. According to the company’s website, it offers job security and stability to its truckers. Something that any truck driver would love to hear. It also the best place for team drivers because the company’s team average more miles than any trucking company in the entire industry. Additionally, they have never had any layoff. Another good thing about working for CRST as team drivers are that you will be paired with someone who lives in your area. And this partner could be a friend or a relative. Moreover, you are guaranteed time to spend with your family. The company also has other great benefits too such as medical coverage and twice-a-week paydays. In addition, CRST offers Blue shield PPO insurance that includes vision, dental, disability, and accident insurance as well as life. Drivers can also participate in a 401(k) plan after 90 days of working. Apart from that, there is also a paid vacations and tax benefit, a per diem. The company also have a “Shut Down” policy that allows drivers no to work if the weather is bad, or they are overworked and tired, or if they are ill. If you are a driver working at CRST, you can also work for the company’s sister companies that include Temp controlled team service, Malone, Expedited, Specialized Transportation (STI), Dedicated Services and BESL. There are opportunities for all drivers, regardless of the level of experience. Even if you have not yet obtained your CDL license, the company will help in training to ensure you earn your license. This 1930s company has its headquarters in New Kingstown, Pennsylvania. It is widely known for its pioneering in delivering temperature-sensitive truckloads. The company’s major shipments include for candy and confectionery industries. It was founded by Jeffrey England in 1977. England prior to founding his company had already had over 20 years’ experience in the trucking industry. The company focuses on refrigerated transportation and are one of the few carriers to be recognized as ‘green fleet’. Celadon Trucking is one of the leading trucking companies in North America with revenue of over $600 million. It was founded in 1985, the period trucking industry was taking shape. It is headquartered in Indianapolis, with more than 4,000 associates worldwide. Celadon offers long-haul FTL trucking services to the USA, Mexico, and Canada. The company has 3,000 tractors and 8,700 trailers, with its fleet having less than 2 years of age making Celadon one of the safest and technologically innovative fleet company in the world. To show how much the company cares about its drivers, it opened an on-site medical center in 2011, with physicians who provide care, rehabilitation as well as physical therapy to truck drivers. Celadon has received numerous awards, honoring it as the best place to work for. Werner Enterprises was found in 1956 by a 19-year old Clarence L Werner with just one truck. But today, it serves worldwide with a variety of transportation services. It has 7,300 tractors and 24,000 trailers. In addition, it has around 11,500 associates and independent contractors. Even though the top trucking companies enjoy much success in terms of growth and market expansion, there are factors which can be attributed for this. They are all different and unique in their own ways. This uniqueness range from new technology to management with more than 150 years of trucking experience. Many of these large trucking companies have had to have a change on the top to maintain their status as industry giants. For example, when Jerry Moyes saw that Swift Transportation needed new management ideas and energy, he stepped down and was replaced by Richard Stocking. Other big trucking companies want to stay competitive by going public. Like in the case of Schneider, which is planning to go public in a move that would be the largest IPO in the trucking industry since Swift Transportation went public in 2010. The company CEO Chris Lofgren is regarded as one of the industry best innovators. Largest trucking companies are known for making shrewd moves in time of the storm. That is exactly what happened with YRC Worldwide (YRCW). The company appointed James Welch as its new CEO when it was looking at the jaws of bankruptcy. Welch made a huge and successful turn-around to save the company from going bankrupt amid whooping $2 billion debt. The new CEO stabilized the company, saving about 10,000 jobs as a result. Of all the largest trucking companies, YRC was at the worst financial situation between 2007 and 2010. The ill-timing purchase of the Roadway Express and USF Corp didn’t help the situation. The new CEO had to make drastic measures in order to survive, like selling equipment and terminals for cash, renewing labor terms with concessionary agreements. The company was forced to shut down or sell non-performing operations. Management was significantly trimmed, with more than 100 middle managers leaving the company as of 2018. The new CEO called this exercise of recovery process a balancing act to create conditions for profitability. According to the CEO, James Welch, it begins with a weight per freight and lengths of haul in a bid to create the accurate freight mix among the customers. This, according to YRC can make a huge difference when it comes to producing the correct freight density required on the key lanes to create long-term profitability. These little tweaks here and there has proven to be successful. YRC had the lowest levels of debt in 2016 since 2005, reducing significantly its debt by over $70 million. The company’s 2017 operating income of $124.3 was its best in 10 years. The big trucking companies are spending millions on technology in order to stay in the game. Technology spending is no longer an option but an ante necessary to stay ahead of the curve. For trucking companies, technology is everything. The CEOs are no longer turning down IT capital expenditures request because they see technology as a new strategy to making it easy to operate a profitable business. XPO, for example, has completed “dozens” of major IT projects. That includes a rollout of over 15,000 hand devices for efficient cross-dock management at its major terminals. Also a LTL dashboard for truck drivers and a brand new virtual pricing workbench for its staff in the sales department, along with other IT projects. The company has managed to integrate its LTL options into each and every other XPO unit to identify any untapped efficiencies and build something out of it that will save costs. These changes made by large trucking companies will have immediate effects on the industry. The companies are becoming more and more diversified, and more strategic and connected to their customers. In short-term, the rates will increase possibly in the range 3% for TL carriers and as high as 5% for LTL customers. This increase in rates is not like the past one-size-fits-all hikes because carrier companies are now more focused on tailoring their rate increases so that it perfectly cover their costs on their costly customers. 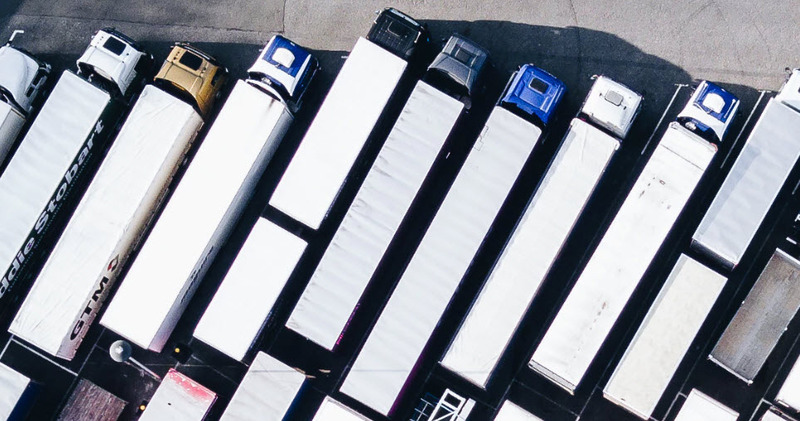 What this means is that if a carrier is offering a ‘driver-friendly’ freight on a more efficient lane with solid demands, that carrier can significantly cut or mitigate the price hikes. He concludes that there is “a good possibility” that the trucking industry and a number of freights could “outperform” many of the top industry predictions made by analysts. However, there still numerous uncertainties that include the new administration, geopolitical macro issues and the general skittishness on the side of the business to try and invest in their operations. Many trucking companies have implemented the electronic logging devices (ELDs), the majority of which are LTL carriers. According to Welch of YRC, the impact of the LEDs will be heavily felt on the side of a truckload. Other companies such as R and L Carrier offer lots of services and benefits learn more. There many other small companies that offers specialized services like boat transport, heavy equipment transport, mobile home movers and many more available. Always check multiple companies to help you get the best service for the price.